Tanker Iman heading to the Black Sea. Photo: Yörük Işık. 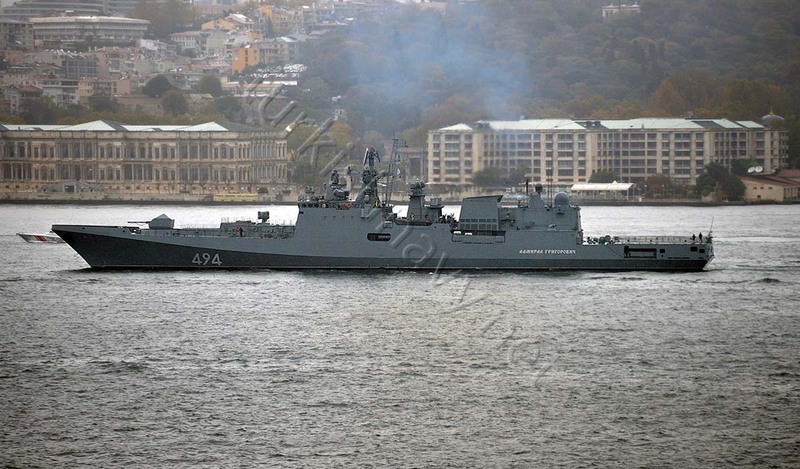 Alligator class landing ship Nikolai Filchenkov passes TCG Gökova, on her way to Syria. Photo: Alper Böler. 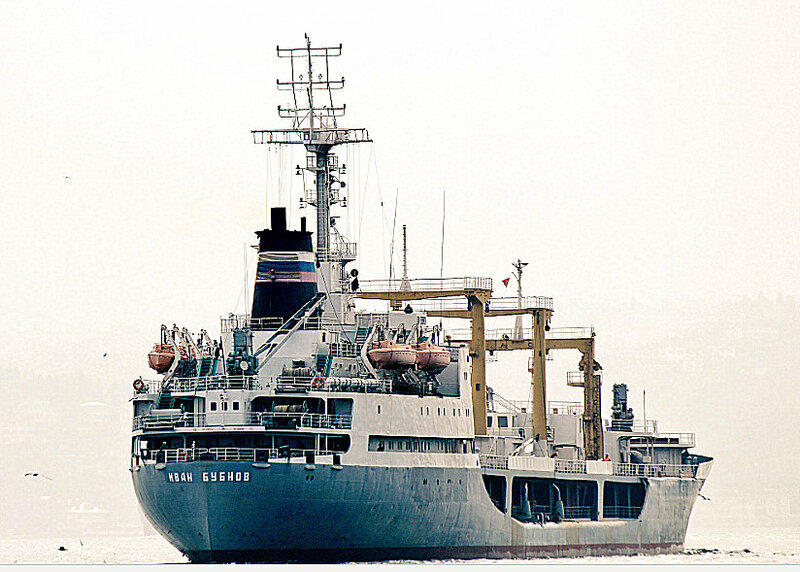 Ropcuha Georgy Pobedonosets yet on another northbound passage through Istanbul. She might be replaced by Korolev from the Northern Fleet. 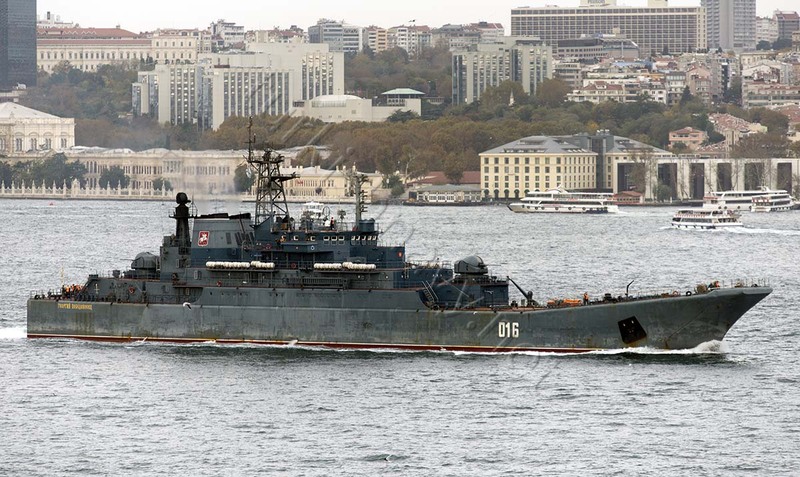 Moma class intelligence gathering ship Kildin returns to the Black Sea after a 79 day long deployment. Tanker Ivan Bubnov heading southbound, to supply the Admiral Kuznetsov task force. Photo: Yörük Işık. 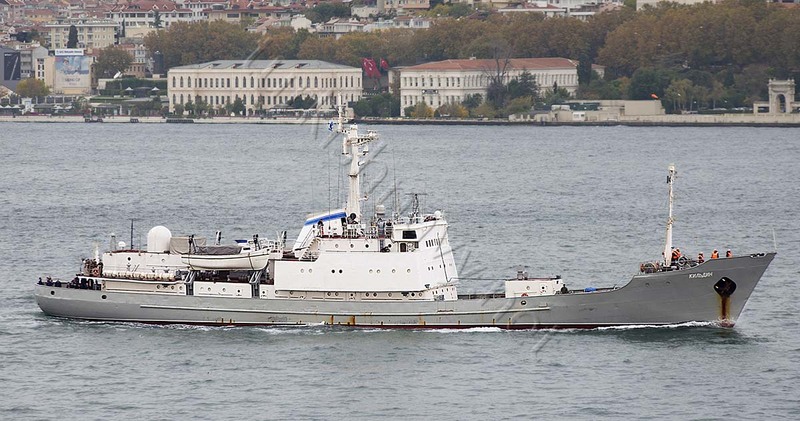 The buoy tender KIL-158, with a Raptor class assault boat on her deck heading to Syria. Photo: Alper Böler. THE BOSPHORUS CHANNEL THE MOST TRANSIT WATERWAY IN THE WORLD.